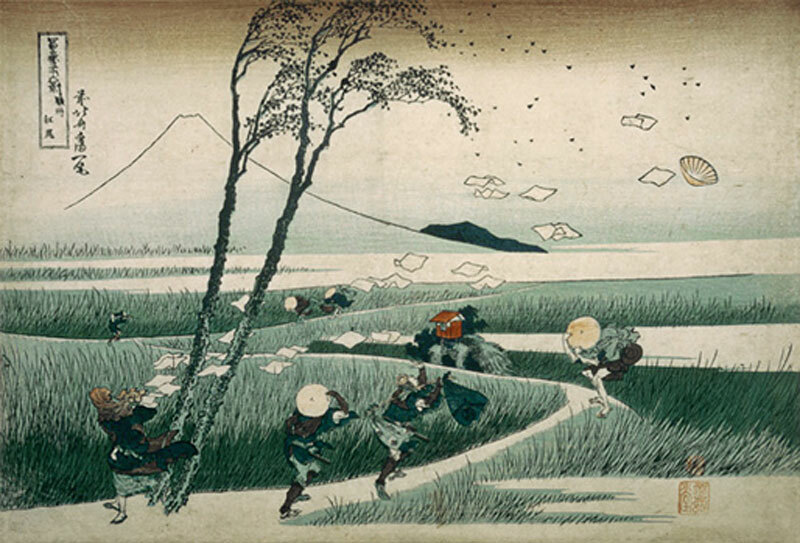 « A group of men – each one a visual repetition of the same person – are shown in various occupations, mostly related to handling paper objects: reading a newspaper, sending off a fax, operating a printer or a TV-set. Slightly irritatingly, some people carry animals through the field of vision. When the viewer steps on a hidden sensor, six electric fans, positioned four meters in front of the screen, blow a sudden stream of air towards the installation. The direction of the breeze changes in relation to the position of the viewer and it looks as if it dishevels the papers on the screen. Superficially viewed, the installation appears to be different from Du Zhenjuns previous works. In terms of content Vent seems not to put a focus on different ways of suffering and pain, while on the technical side, it is not created in a purely digital but apparently in an “old-school” video technology. 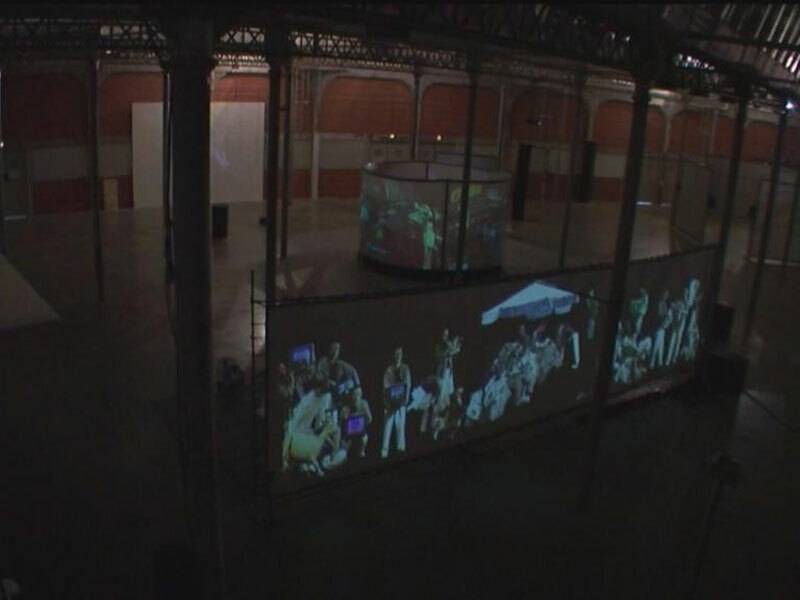 The setting is made up of a screen subdivided into three segments and three beamers, which project the interactive video onto the screen from behind. Four meters in front of the screen six electric fans laid out in a row complete the installation with their loud noise as an integral part of the work. 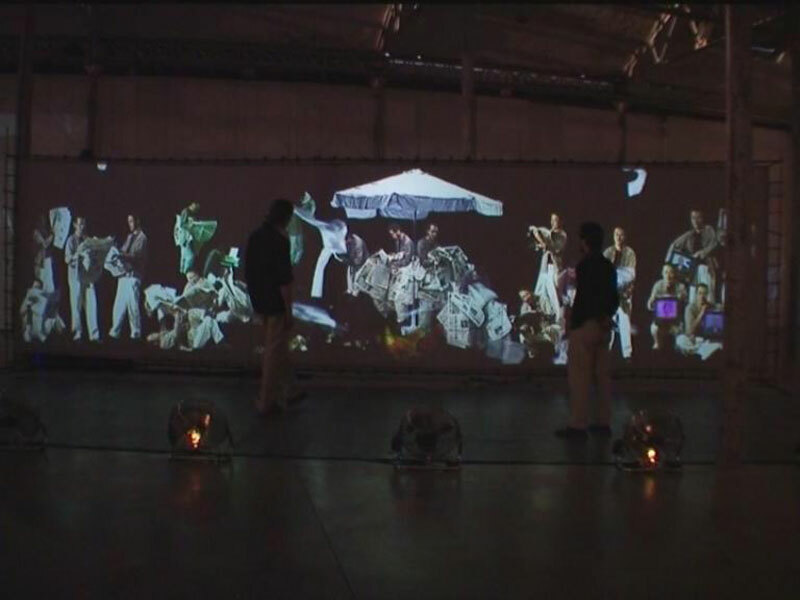 Mixing “classical” moving images with digitally manipulated interactivity, the video shots of the artist are not that far away from the technology he previously used. Accordingly, the work’s content is quite in line with the artist’s leitmotiv of discomfort. Vent does not force the audience into a situation as disquieting as e.g. Présomption, which puts one into the position of an invigilator of a Bosnia-war concentration camp. Nevertheless, the supposed influence of the outwardly positioned fans on the actions on the screen highlights the topic of in and out or of control and being controlled, in other words being powerless. 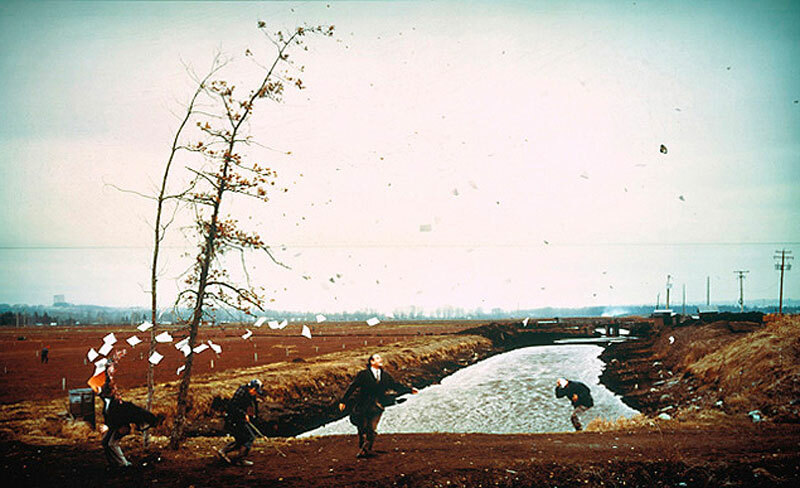 In an interview the artist once connects the viewer’s incapability to exercise real control over the blowing wind to one of the most dominant, millennia old continua of Chinas socio-political environment: tight control over the individual. How close the artist’s statement comes to China’s reality is underscored by press texts of PRC media, which explain Vent as nothing but an amusing technical gadget.